The All-In-One WP Security & Firewall could be a great solution to your website for a wide array of reasons. Heavily focusing on brute force attacks, giving you optimum protection against the most common form of security breach, this plugin offers you 360-degree security. Using a security point grading system, the plugin can measure how well your site is protected. This is based on the security features already in place. You can then choose the level of protection you require as the plugin separates the firewall protection into three different levels; basic, intermediate and advanced. Furthermore, all-in-one includes protection against the WordPress database as well as core files as the plugin continuously scans for any unusual changes. Although, probably the most impressive feature of the All-In-One WP Security plugin, besides being free, is that before you make any changes to the settings of the plugin it will inform you how your overall security score will be impacted. Not only making it highly user-friendly, but the plugin is also a great tool to learn about on-site security. iThemes is one of the biggest names in WordPress Security and has been developing WordPress tools since 2008. It is, therefore, no surprise that iThemes Security Pro is one of the most popular security plugins on WordPress. The plugin is capable of tackling the main vulnerabilities your website is likely to encounter. For example, the plugin offers protection against brute force attacks by blocking users who have previously attacked other websites from accessing your site. To do this, the system reports ID addresses of failed login attempts and blocks them. Also, two-factor authorization is provided by iThemes Security Pro. The plugin will send a unique code to the user’s mobile device. The code alongside the password is the primary way of logging in. Other important features of the iThemes Security Pro plugin include file change detection. Whenever something suspicious happens to a core file, you will receive an email notification. Furthermore, if you are the only user likely to access the admin, the plugin has an “out of office” feature. This will allow you to lock the dashboard when you know you won’t be using it, for example when you’re out with friends or sleeping. 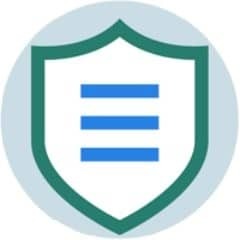 Shield Security is a small plugin when compared with some of the more well-known plugins, but the reviews are near perfect considering this, and it is no surprise why when having a look at the plugin. 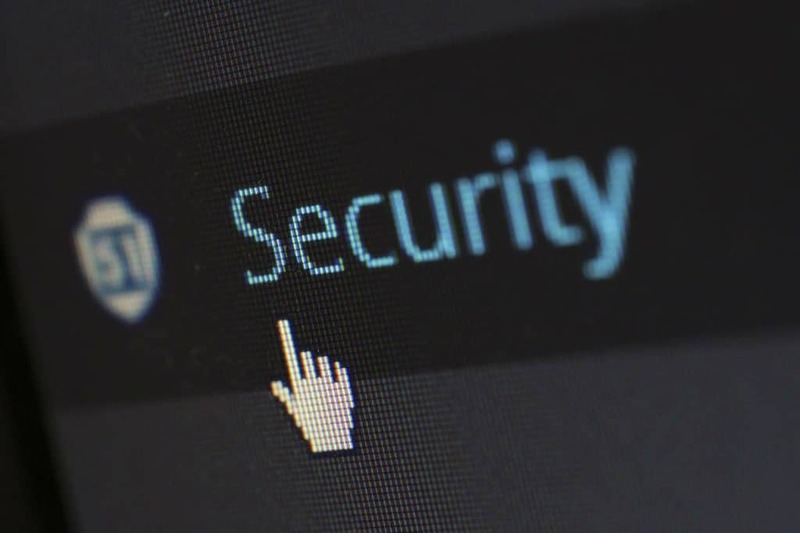 Unlike many other WordPress security plugins, Shield Security manages to protect itself as well as the rest of your website. This is thanks to the settings that result in an admin lock meaning an access key is required if you want to make any changes. Furthermore, Shield Security will not modify any of your core files. Therefore you gain access to additional options if something goes wrong, such as locking yourself out of your site. Similar to other WordPress security plugins you get two-factor authentication, core file scanner, automatic IP blocking system as well as a spambot blocker. Sucuri Security automatically scans your website to pick up on malware. One Sucuri is installed; the plugin will take note of any existing files, therefore, allowing the plugin to notice if any of the files change status. If Sucuri picks up on a security breach, you can access the activity log to find out the potential cause. If you realize your website has been compromised, you can just restore your file. And no need to worry, the activity logs are stored in the Sucuri Cloud which is a safe place non-accessible by hackers. Wordfence is undoubtedly one of the best and most popular WordPress security plugins. With over 2 million active installs the plugin is continuously gaining the trust of WordPress users all over the world. Similar to many other WordPress security plugins Wordfence Security is the perfect candidate to protect your website against brute force attacks. This is as it enforces strong passwords and allows for two-factor authentication where it will block those with excessive login attempts. The plugin features live traffic allowing you to see real-time traffic updates. Allowing you to pinpoint any attempted hacks made on your site. 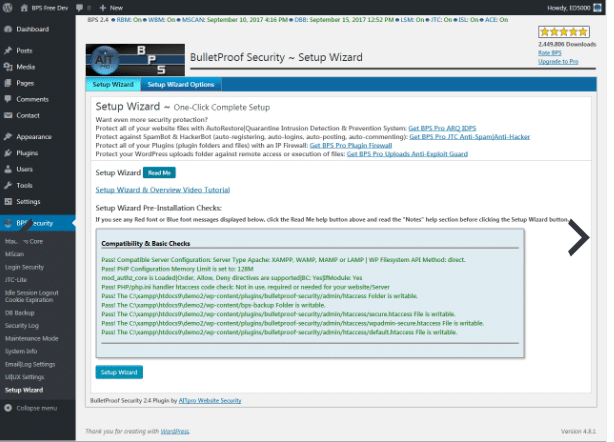 Perfect for beginner WordPress users, bulletproof security essentially puts a bulletproof jacket around your website. With just a simple single-click you have protection against RFI, XSS, SQL injection, CRLF and code injection hackings. In theory, the plugin adds a robust firewall to your website giving adamant protection against brute force login attacks while simultaneously backing up your data. For a small addition of money, you can upgrade to the pro version of bulletproof security. This means you can secure your wp-admin folder as well as your root website folder with one click. You can also, if required, create a 503 maintenance page if your website is ever under construction. This plugin is best suited to those looking to detect and remove malicious viruses. The WP Antivirus Site Protection plugin can detect some breaches including backdoors, worms, adware, spyware, redirection etc. The plugin is capable of detecting these features on both theme files and general files on your WordPress website. When something unusual is detected the plugin will send you an alert and notification to the admin panel of WordPress and via email. This plugin is designed specifically for Clef users. This is as the plugin claims to give you a similar experience to Clef. Google Authenticator is high in security and is easy to use. The two-factor authentication of the plugin requires you to use a secure password with an additional code to confirm your identity. All types of phones are supported to do this. However, if your phone is stolen or lost, you will be required to use alternate login methods such as via email or by answering a few security questions. Having website backups is essential. This is as they can rescue you in unfortunate events such as your website crashing or being hacked. By having backups, you can directly activate your most recent backup and restore your site back to working order. This is why Vaultpress is essential. Vaultpress can create scheduled or real-time backups (depending on your membership). They are stored safely off-site and can be restored in seconds in case of emergency. Not only limited to backups, Vaultpress can scan your website for any viruses or malware which can then be removed by a click of a button. VIP Scanner scans various files on your website. These include themes and plugins. 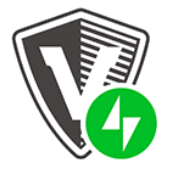 In short, Vip Scanner allows you to pinpoint any security loopholes that may feature on your WordPress website. The plugin allows you to create checks that can then be grouped to run them against themes, plugins, single files or directories. The interface is user-friendly but will still efficiently help protect your website from any malware or viruses that may be present. WP Audit Security Log keeps track of what goes on behind the scenes on your WordPress website. Keeping a close eye on the users, you can easily spot when someone is doing something they shouldn’t be. This could be a range of things such as creating an account, swapping user roles or even publishing and editing posts! This plugin makes notes of any suspicious activity carried out by users who have access to your site. Login Lockdown is a simple yet effective free plugin that you can download. The principle of the plugin is to prevent brute force attacks. It does this by blocking any IP addresses that encounter too many failed login attempts in a short period. The default of the plugin is a maximum of three failed attempts during a five-minute window. However, this can easily be changed by adjusting the settings. As suggested by the name, the Antivirus plugin scans your website for malware and spam. Antivirus does perform said scans on both your database and theme files. If the plugin manages to find anything you are notified by email allowing you to be aware of the problem quickly. Furthermore, if you are looking to provide ongoing protection, Antivirus can be scheduled to scan your site on a day to day basis automatically. Block Bad Queries (BBQ) is a simple WordPress firewall plugin. Simply containing the essential security functions required from a firewall, this lightweight plugin is both super easy to use as well as super quick. The plugin only needs to be installed and activated, and then you can get going. This makes the plugin perfect for those looking for a plugin that is straight to the point or any beginners who are just grasping the basics of on-site security. The main feature of the SecuPress plugin is the scanner. The scanner searches your website for any security vulnerabilities that may appear. These are classed in six categories. Once scanned, a checkbox will appear giving you complete control over which issues you would like to fix. As SecuPress fixes the problems for you, you will be able to solve some issues within seconds. SecuPress also offers anti-spam measures, website backups, malware scans and automatic background scans in the pro version of the plugin. Jetpack, part of the Automatic family, can be described as a combination of unrelated functionalities. This may sound suspicious, but amazingly the strange combination works and the Jetpack plugin is therefore very popular. Unsurprisingly, the paid version of Jetpack is the version that has all the various security features. The premium version gives you access to daily malware scanning, scheduled website backups as well as automated website restores. Alternatively, the professional license has the features of the premium license as well as real-time backups and on-demand malware scans. The plugin itself is comprised of “modules”. When you activate a module, the feature will be accessible on your blog. Alternatively, when you deactivate the code will no longer load or run on your site. The list of modules is constantly changing. Some of the most notable current modules include site stats, widget visibility, markdown as well as custom CSS. A large number of modules, currently 30, may seem appealing. However, it is worth noting whether you need every single one. This is as there have been some reports that installing Jetpack can increase the loading time by between eight to ten seconds. Defender aims to make security for WordPress easy. This is as it can carry out some security checks without requiring you to do any work. Also, Defender enabled Google two-step verification when logging in as it requires both a secure password and a code that is sent to your phone. As well as this the Defender plugin can scan for any suspicious codes. When found, the plugin reports the changes and then lets you restore the original file with a single click. Loginizier is a plugin that protects against brute force attacks. By setting a login attempt limitation for any IP address, you can prevent a hacker from gaining access to your website. Alternatively, you can manually add IP addresses you consider a threat to a blacklist through Loginizer. Therefore meaning if they try and access your site they are blocked well in advance. On the other hand, you can whitelist some IP addresses to ensure they do not get blocked. It is essential to include your IP address on the whitelist. Cerber Security and Anti Spam protect against brute force attacks by limiting the number of login attempts available. It does this by using auth cookies. Furthermore, you can restrict access from any unauthorized users by using a blacklist and a whitelist. Features of the plugin include easy login hiding, custom login page to prevent automatic attacks, filter activities and export to a CSV file as well as analyze and inspect activities via IP addresses or usernames. Additionally, this plugin offers support against spam. By using the Cerber antispam engine, you can quickly detect any annoying spam comments and move them to trash. As a fairly new plugin, WP Performance & Security has little in the way of reviews and only 100+ installs. However, it boats some impressive features. Firstly, the plugin can disable comments and links in comments and media files; this is perfect for preventing any spam comments from clogging up your website comment section. You can also remove the WordPress version string; this is a great way to avoid the event of hackers to attack or exploit known vulnerabilities on your website. However, although this plugin is still fairly basic when compared to the others, it is still a useful plugin to install. Especially if you are looking to change the login page or have better control over the comments section. To conclude, as you can see there are many WordPress security plugins available to download. Although a lot of them seem to do the same thing there are a few standouts that we would recommend trying. These include; iThemes Security, Shield Security a, d Defender.